Home › Wisconsin › Marshfield › Truck Dealers Near Me in Marshfield › V&H Trucks, Inc. The Heavy Truck Division of V&H Trucks Inc. was founded in 1966 and is one of the largest Western Star dealers in the United States. 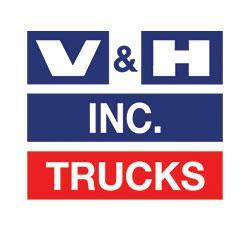 For over forty years V&H Trucks Inc. has excelled with the philosophy that customer satisfaction comes first. Our transportation specialists work around the clock preparing trucks and equipment to be ready on time. This is why nationwide corporations use V&H Trucks Inc. as their major supplier of trucks and equipment. Give to V&H Trucks, Inc.
You will receive updates from V&H Trucks, Inc.